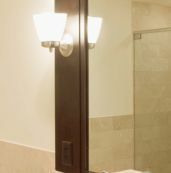 Streamwood domestic improvement is improved through the expertise of D'ANGELS HOME REMODELING pros in tile projects. The firm's floor tile installers can efficiently serve individuals close by their office at 5 S Victoria Ln, in Streamwood. The talented specialists of this crew could make any dream household a reality. Improve your house renovation plan through tile experts from D'ANGELS HOME REMODELING. 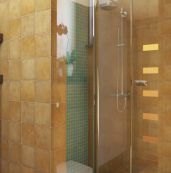 The expertise of D'ANGELS HOME REMODELINGs tile installers will improve any house. A full set of all their company's products and services may be obtained at their firm's site. 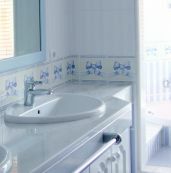 Professional tile installers of D'ANGELS HOME REMODELING can make your house upgrade perfect. So what is their strength? Their company focuses on: projects requiring experts to . The skilled and knowledgeable community of technicians at this agency thoroughly featuring reliability you can count on. You will get the very best home renovation service imaginable once you pick a tile authority. D'ANGELS HOME REMODELING's consulting tile installers are vital to ensure a top quality home upgrade. If you're setting up a project, be sure to seek out tile installers. Around Streamwood, a person can expect a building renovation to be exceptional if they engage personnel who are known for tile installers. Each specialist from D'ANGELS HOME REMODELING name the Streamwood community home. 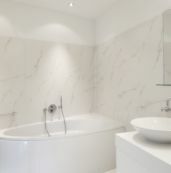 To secure the finest achievable effects in your house renovation, you will require an expert tile technician. The work of this business is undoubtedly the best quality outcomes around. Get in contact with D'ANGELS HOME REMODELING client assistance in Streamwood, IL at 8478075014 for your estimate, cost free! When individuals use D'ANGELS HOME REMODELING tile installers to they will be confident that they're going to be content about the outcome. D'angels Home Remodeling - Tile Installers in Streamwood, Illinois. 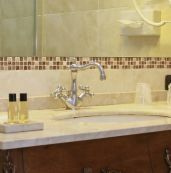 To get started, browse the best Streamwood Tile Installers, read reviews, find detailed contractor information on individual Tile Installers in Streamwood and request free project estimates. Finding accurate service costs before planning a remodeling project is important for keeping the overall project costs down. Are you looking to install vinyl tile flooring in Streamwood soon? Find accurate Streamwood vinyl tile flooring installation costs right now. Knowing accurate remodeling costs upfront can help you negotiate more effectively with trade professionals and vendors and gauge whether their projects quotes are fair, as compared to your local market costs to install vinyl tile flooring in Streamwood. We work hard to help you make confident decisions regarding which home products and services to purchase, as well as help you identify trustworthy local Streamwood vinyl tile flooring installation contractors. Our goal is to make sure you are able to have quality work completed at a fair price and on time.